I had moved to Davis, California, the preceding August, (of 1984) taking over the then Campbell-Muirhead Dance Studio, on Third Street, and personally repainting the sign to read Pamela Trokanski Dance Workshop. 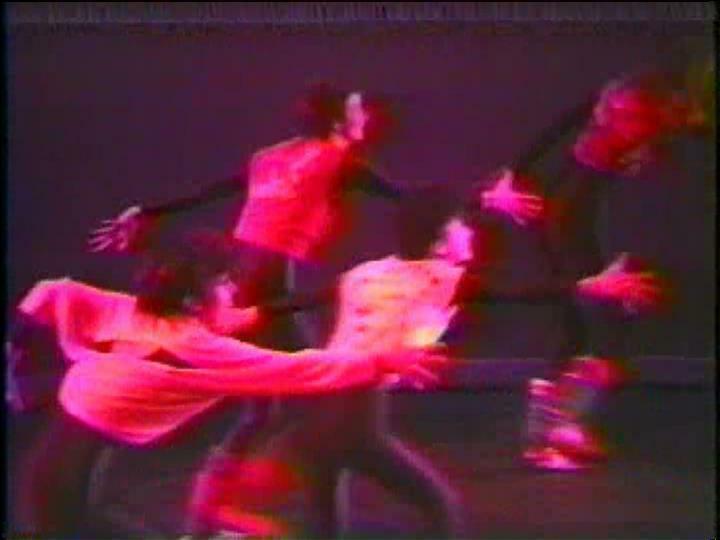 I had begun teaching modern dance classes and trying to explain what a modern syllabus entailed. At that time, it was all very ballet oriented for children, and parents would ask, “Isn’t that where you lay on the floor and pretend to be bacon frying?” (…seriously!) At the same time, I was still invested in rebuilding a dance company. I had left my dancers behind me, in Rochester, New York, and needed to begin again. Getting ready to open the concert. The concert was comprised of several pieces; an Introduction piece (fulfilling the concept of being introduced.. the whole thing was set to music and introducing the various members of the orchestra, but I can’t remember who the artist was) The second piece was called Television Series, I believe, and was set to several different pieces of music including an Al Yankovic piece about The Brady Bunch (this was the mid-80’s remember) It looked at the various influences the news, commercials, and television shows exerted on people. Other, shorter dances were set to a wide range of music including the Talking Heads, The Beatles, and…Ms Piggy singing Never Before, Never Again. That was the culminating piece of a series of dances that looked at the painful aspects of loving someone (not the beginning and certainly not the end of that exploration which was to go on and occupy my attention for many years… sigh!) It featured humor and several awful pink tutus and one horrible pink skirt. I think that it’s fair to say that costuming has never been my strong suit! But I do like that, even when trying to figure out the drama of relationships, I maintained a sense of the absurd.